The promise of copious amounts of gold can make people do funny things. Especially when said gold encompasses an entire city. 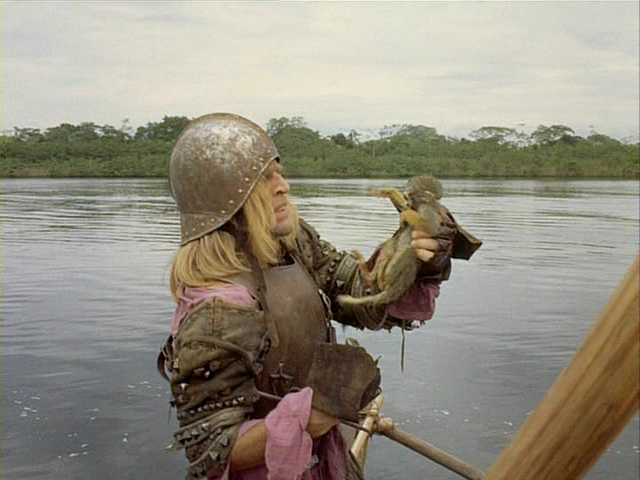 In the case of commander Gonzalo Pizarro (Alejandro Repullés), his second-in-command Don Lope de Aguirre (Klaus Kinski) and their large group of Spanish conquistadores, these men have decided to embark on a punishing journey through the heart of Peru in search of the legendary El Dorado, a city rumored to be filled with gold. Set in 1560, the conquistadores travel down the Amazon River while chasing their dream. As with most ancient expeditions, this doesn’t go particularly well. For one, their attempt to carry cannons and other weapons through the hot and humid jungle, all while wearing heavy armor, proves as difficult as you would expect. They also have to deal with hostile natives and random arrow attacks — not everyone is happy to see them, apparently. Early on, the commander splits up the expedition and sends a smaller group to continue pushing down the river. This group, eventually led by Aguirre, is given the task of actually finding the city of gold. It doesn’t take long for Aguirre to assert his powers, and he quickly becomes a frightening leader. The man is on a mission, and quitting is not an option. There is a definite Heart of Darkness vibe to the film, as an overhanging sense of dread lingers from beginning to end. How can this expedition end well, especially when its leader is quickly descending into madness himself? The filming process for Aguirre has developed a bit of a legend, and I suspect this is part of the reason why the movie is so highly regarded today. Werner Herzog has stated that he stole a 35mm camera from film school, flew down to South America, gathered a large group of locals who did not speak a common language, and took them on a ridiculous trek through the Amazon jungle in order to shoot this movie. The film was created on a meager $370,000 budget, with about a third of this going toward Klaus Kinski’s salary. The hostile relationship between Herzog and Kinski could get a post of its own. At one point, Kinski threatened to leave the set and didn’t change his mind until Herzog threatened to shoot him first and then pull the trigger on himself. Ultimately, it was worth the fighting and bickering because Kinski delivers an unforgettable performance. His madcap behavior is never presented as over-the-top, as he delivers a more subtle performance. Make no mistake — it’s quite obvious the man is losing his mind, it’s just not in a, say, Nicolas Cage type of way. The supporting cast also performs quite well, but this is Kinski’s film through and through. 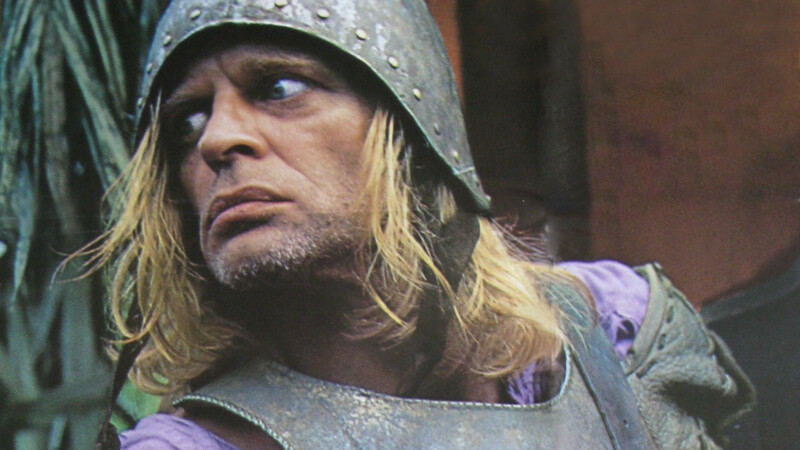 Aguirre, the Wrath of God is a largely methodical film, and this could be an issue for some. It’s worth sticking with, however, at the very least to see one of the more memorable endings in all of film. One can only imagine what those little monkeys were thinking. Haha I hear ya, the filmmaking process sounds even crazier than the film! There’s also an urban legend that Herzog forced Kinski to act at gunpoint, though that has been denied by at least one of them. Still, after reading up on their relationship, I wouldn’t be surprised if there was a bit of truth to that! I really thought Aguirre would be up my street, but I ended up being bored by it because of the slow pace. I had the same response to Werner Herzog’s Fitzcarraldo (1982). I enjoyed the Herzog movie Rescue Dawn (2006) , Christian Bale was great in that. Yeah, I could see being turned off by the slow pacing. I found it pretty captivating, though. I’m curious to see Fitzcarraldo — that one’s also set in the jungle, correct? I haven’t seen Rescue Dawn, but I’m definitely interested. Heard lots of good things about it. Cool, I’m definitely curious to check it out. Will probably have to write about it when I see it as well. Haha yeah, that pic of Aguirre does seem to be a popular avatar choice. I agree — this film would be ripe for a documentary. Apparently Herzog made a documentary — titled “My Best Fiend” — about his relationship with Kinski. I might have to check that out — I bet there are some good nuggets of info regarding the filming of this movie. I’ve been meaning to watch this forever, your review convinced me to track it down. Also, I present to you a Liebster Award- http://www.cinekatz.com/2012/07/the-liebster-award.html claim it there! Good concise review Eric. This is not a film that was on my radar but this post certainly sparks my curiosity. I’ve seen a few Herzog films but nothing like this one. 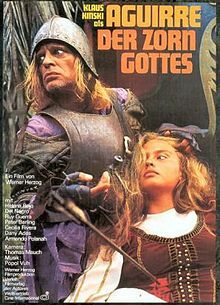 I don’t know if the connection has been made, but I wonder whether films such as this one served as inspiration for the classic Apocalypse Now. The idea of the trek through the jungle with the ominous sense of dread does seem to be similar to the Francis Ford Coppola piece which, instead of Kinski, presents to us the indelible Marlon Brando as Colonel Kurtz, who also goes completely insane at the height of the Vietnam War.